Printed Electronics Europe 2011 will take advantage of being located in Dusseldorf - a centre of excellence for organic and printed electronics by hosting tours to some of the leading companies working on the technology in this region. The tours below are combined with a masterclass. To take advantage of the company tour you will need to attend the relevant class, please see the descriptions below. We will be adding further tours in the Dusseldorf area which will be run between the other Masterclasses. Companies hosting the tour retain the right to decline someone from attending. This is beyond the control of IDTechEx and in this case you will be informed of this as quickly as possible. 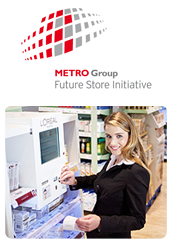 These tours are extremely popular so please register early by contacting Chris Clare on c.clare@idtechex.com . The Thin Film Photovoltaics class will be held at Coatema offices followed by a tour. There will be 2 - 3 theoretical presentations in their meeting rooms followed by practical demonstrations in their R&D centre. 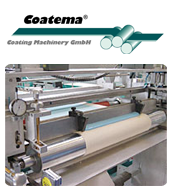 Coatema Coating Machinery GmbH offers as a competent partner coating, printing and laminating competence. Coatema's flexible equipment solutions can be used for continuous as well as discontinuous processes and for working widths from letter size up to 5.400 mm on R2R equipment. Besides turnkey production plants Coatema offers also single aggregates. The company relies on more than 35 years of experience in building small lab coating units and pilot plants for realisation of even small batches up to production plants for different applications. Because of the company-owned R&D Center and the longtime expertise in the engineering of small- and large-scale plants, research and upscale of coating, printing and laminating processes are an essential part of Coatema's portfolio. The R&D Centre on more than 1.200 m2 offers 11 different pilot plants and 1 production line with working widths from 100mm up to 2.000 mm. All substrates like textiles, film, paper, foil and glass can be processed. The Masterclass covers 2 - 3 different presentations on flexible electronics and organic solar cells. Afterwards a conducted tour around Coatema's R&D centre will be arranged. Furthermore 2 -3 trials according to the presentations heard before will be realised and demonstrated to the participants. 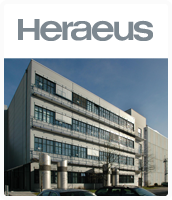 A company tour/demonstration followed by the "Materials" Masterclass will be held at Heraeus. Heraeus, the world's largest producer of conductive polymers, is pleased to host the masterclass sessions as part of the Printed Electronics Europe event to be held in Duesseldorf in April 2011. In addition, Heraeus will offer participants a laboratory tour and demonstrate conductive polymer chemistry by showing experiments involving Clevios materials.